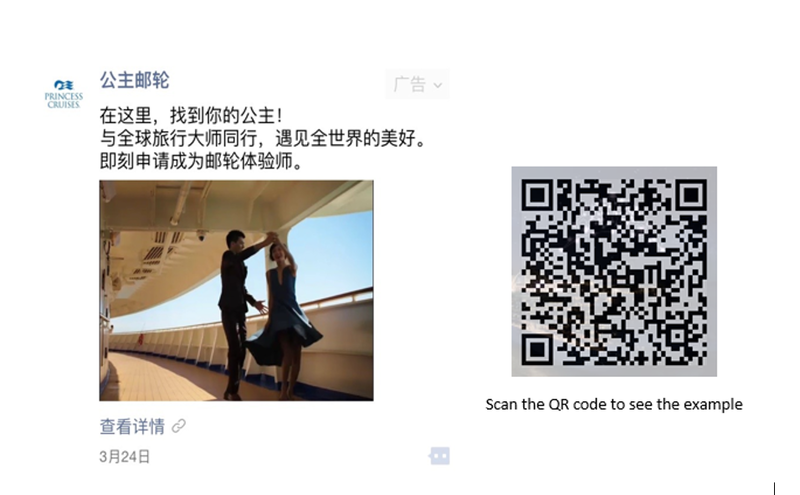 In “Get in Touch with Your Potential Customers Through WeChat Moments Ads” , we briefly introduced what is WeChat Moments Ads. 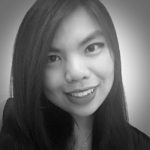 To continue the exploration of WeChat, we select two interesting and successful examples to show you how to get to know your followers in different ways! So here we go! The Text: Here, find your princess! Experience the beauty of the world with international travelers. Sign up for the cruise experiencer immediately. 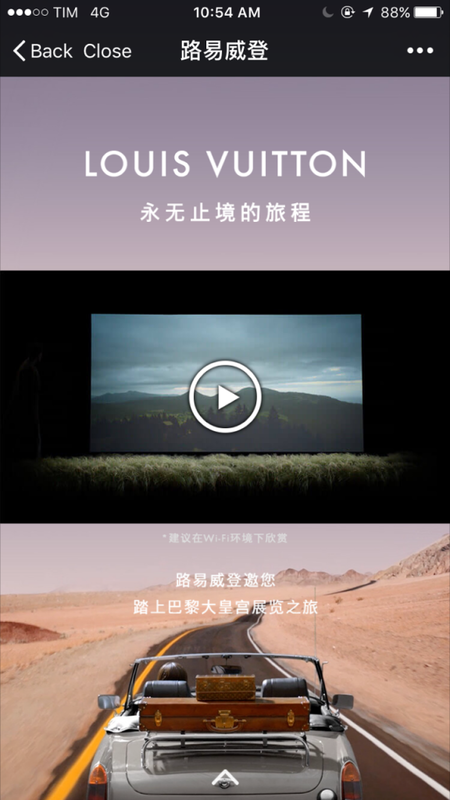 By using the data from the Tencent social media and the WeChat User’s labels, the company dedicated their ads strategy for male and female users separately, furthermore, after watching the 10 second short loop video, the users can choose 152-second long video to know more about the brand. 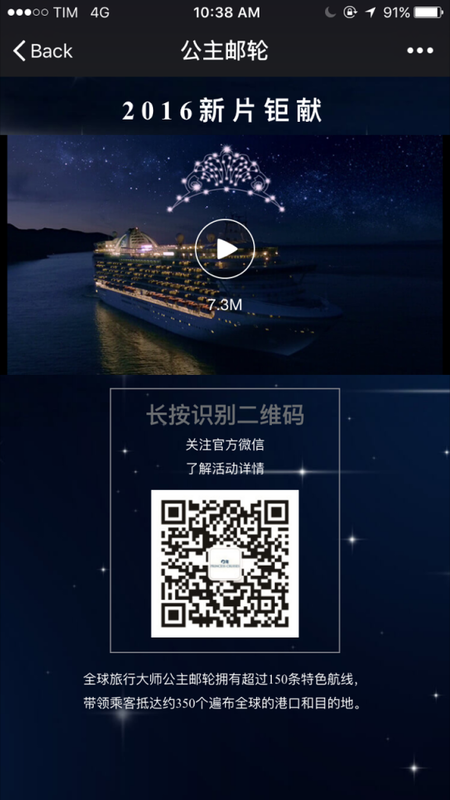 By clicking the link on the bottom left, the users will be directed to a webpage, which the brands invite the users to sign up for Cruises experiencer. The second part of this webpage was with the promotion video, a QR code for people to follow the brand’s official account and a brief introduction about the company. Simple and effective. By using different time-length video, Princess Cruises gave people more flexibility to know the brand value and image. This would be an effective way to raise the awareness and gain more exposures. The easy-to-read and simple HTML 5 webpage also acted as a bonus for relevant people to interact with the brand. 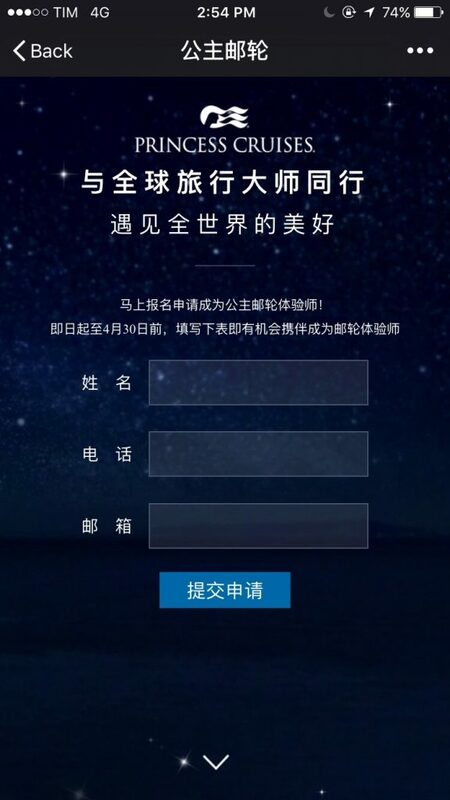 According to the data, in the end this activity attracted more than 100 thousand people to sign up. By using a simple image with the endless road, and a mysterious quote, leading people to click the link and explore more. 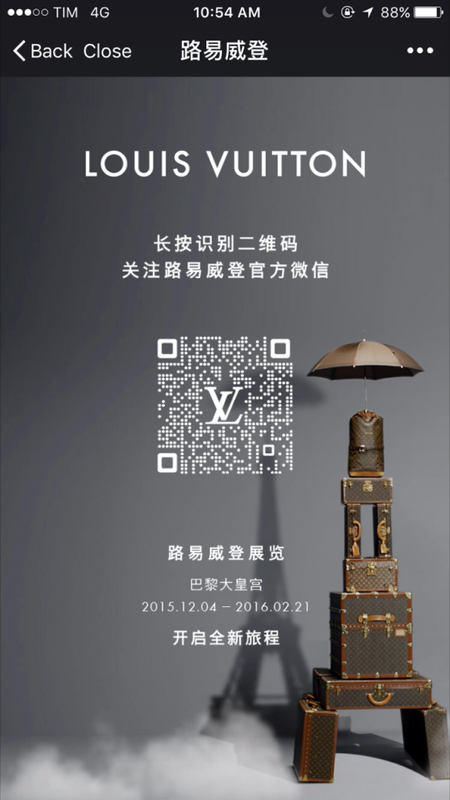 The HTML 5 webpage started by the video introducing the brand story, value, following by the QR code of the brand’s official account and the latest exhibition information. 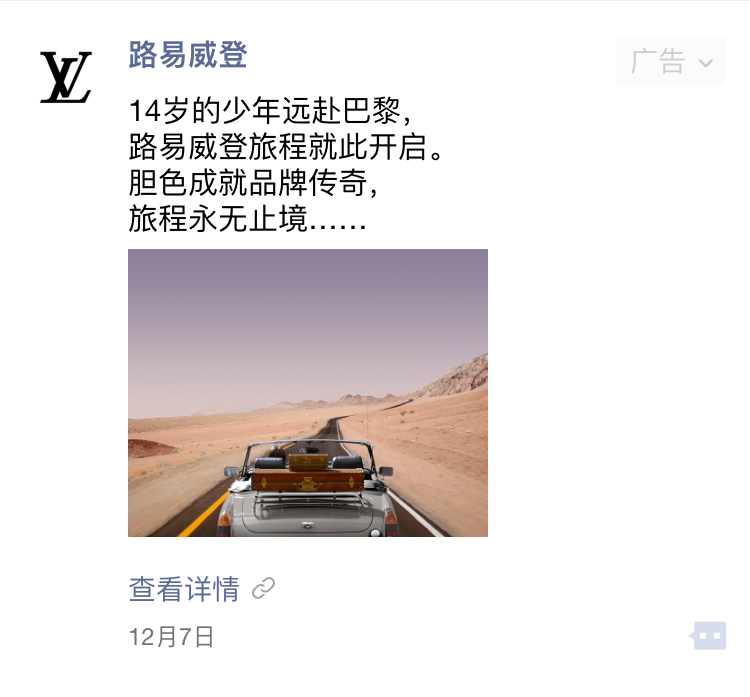 The picture and quote created curiosity, people need to click the link to get to know what Louis Vuitton really want to tell. By targeting the right potential followers (for example: First-tier, Second-tier cities, interested in travelling etc), this would be a simple and effective way to raise the brand awareness and gain more relevant followers.